Liam Gallagher and ex-Verve frontman Richard Ashcroft are among the acts announced as openers for the UK leg of The Rolling Stones No Filter European tour when it gets underway next month. Gallagher will open the first of two dates at London Stadium on May 22, with Florence + The Machine on board for the May 25 gig; The Vaccines join the lineup in Southampton on May 29, while The Specials support the Stones in Coventry on June 2 and Richard Ashcroft steps in for appearances in Manchester and Edinburgh, with Elbow added for a June 15 stop in Cardiff and James Bay closing out the UK run at London's Twickenham Stadium on June 19 (an updated tour schdule can be seen below). 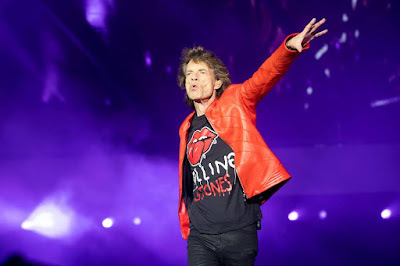 The 14-show series marks The Stones’ first appearances in the UK in five years; shows in Germany, France and the Czech Republic will precede the trek’s finale in Warsaw, Poland on July 8. The 2018 dates come on the heels of a European run that saw the band perform 14 concerts in September and October last fall. "This part of the No Filter tour is really special for the Stones," says Mick Jagger. "We are looking forward to getting back onstage in the summer and playing to fans in the UK and Ireland. It’s always exhilarating going to cities we haven’t played for quite a while and also some new venues for us like Old Trafford & The London Stadium."